Food-borne diseases (FBDs) have had a significant impact on Southeast Asia’s health and quality of life. A significant part of health security concerns relates to diseases caused by dangerous (pathogenic) microorganisms in food. These are exacerbated by the evolution trends of microorganisms, which increase their resistance to antimicrobials used to treat diseases, also known as antimicrobial resistance (AMR). If regulators are unable to keep tabs on FBDs amid these trends, health risks and misdiagnosis could increase and potentially be exacerbated by increasing intraregional integration of food supply chains. 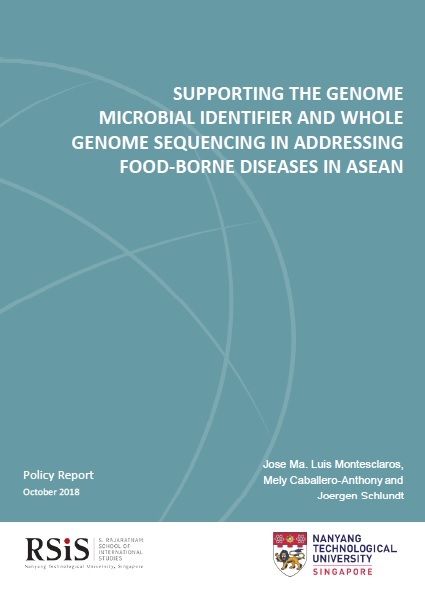 Support the development of a global microbial identifier (GMI), a global database of genome data on FBD-related microbial isolates, to complement existing ASEAN food safety frameworks. Encourage a shift to whole genome DNA sequencing (WGS) technologies, a revolutionary technology for diagnostics and prevention, which can help accelerate the development of GMI, and also significantly shorten the response time during disease outbreaks, while giving better foresight on the significant disease burden from both existing and emerging food-borne diseases. Rally support from the private sector to hasten the pace of GMI/WGS development, including food companies, pharmaceuticals, traders and consumer interest groups, who will benefit from supporting such an endeavour.